"I was inspired by my own experience as a mother creating serene and magical nurseries and bedrooms for my children." Monique Lhuillier is already one of the go-to designers for ultra-elegant bridal and ready-to-wear fashion. Now the designer is bringing her glamorous aesthetic to a new home decor and furnishings collection for Pottery Barn Kids. The 120 piece-collection for nurseries, bedrooms, and playrooms plays on the fantasy and magic of childhood with an ethereal color palette, hand-painted patterns, and plenty of whimsical touches. We got the chance to speak with Lhuillier about her new Pottery Barn Kids collection, who gave us insight on her inspiration and favorite pieces. Read on for our Q&A, and be sure to check out the slideshow below for some of our favorite pieces, all available now. 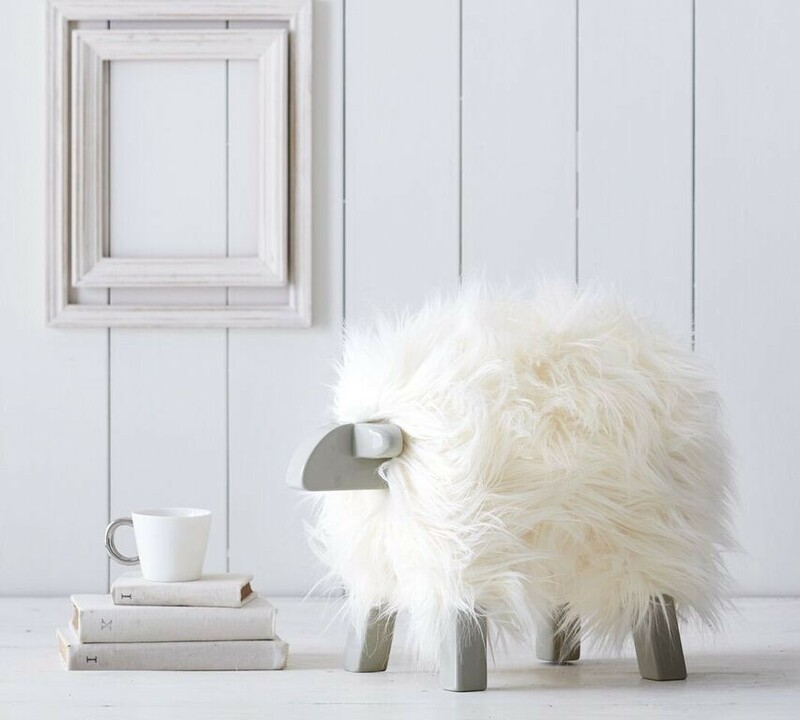 What was your inspiration for your new Pottery Barn Kids collection? "I was inspired by my own experience as a mother creating serene and magical nurseries and bedrooms for my children Jack and Sophia. The Pottery Barn Kids collection incorporates designs from my bridal, ready-to-wear and accessories collections, mixed with details from my home. 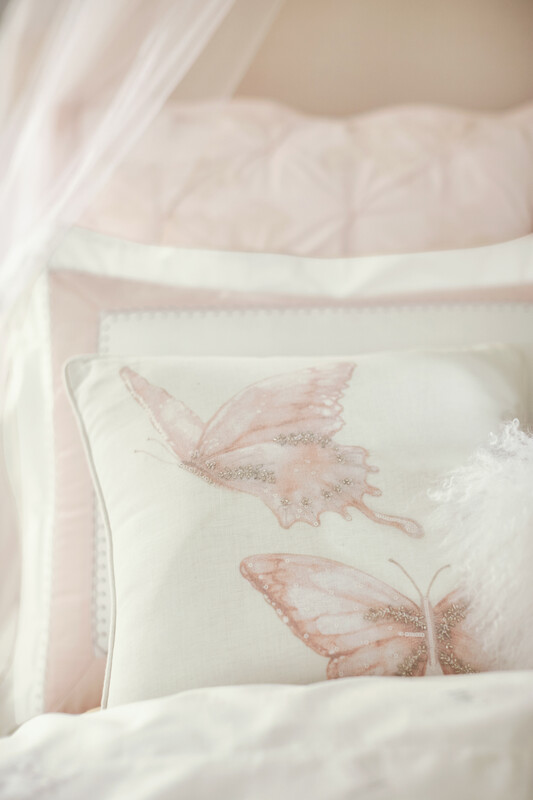 I took references from my bridal gowns and signature collections and created playful tutus and a hand painted floral pattern for the bedding design. I also took inspiration from some of my favorite pieces in my children’s rooms. We had a beautiful mural created for my son Jack’s nursery and we worked with the same artist to create an Ethereal Mural art piece for this collection with Pottery Barn Kids." How did you think about translating your fashion design aesthetic into nursery decor that both kids and parents can love? "It’s important to me that a child’s room reflects their personality, inspires creativity and brings a sense of calm to the lives of the parents and children. The collection is whimsical, ethereal and modern, without compromising functionality. I wanted to create a collection that marries the functionality needed for baby and kids’ spaces with contemporary and whimsical design elements that both parents and kids would love." What are three of your favorite pieces from the new line? "My favorites are the Butterfly Chandelier that’s designed to look like a draped necklace with the butterflies loosely flying around it, the Lamb Tuffet and Designer Dolls – they all bring a hint of fantasy. Lastly, the tranquil color palettes of the rugs add the finishing touches for an ethereal and serene room." There’s a real sense of whimsy and wonder to this collection. Why were you drawn to those kinds of feelings for this collection? "I’m often inspired by the delightful fantasy of special occasions, and as a mother I was able to bring both sensibilities together. This feeling of whimsy and ethereal elements can often be seen in my bridal, ready-to-wear and accessories collections, and I translated this aesthetic into pieces for Pottery Barn Kids." I'm the Chief Content Officer of Livingly Media (Livingly, Lonny, StyleBistro, Zimbio, Mabel + Moxie, and It's Rosy). My TV boyfriend is Pacey Witter. You can reach me at jill@livingly.com.